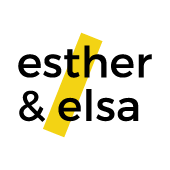 Welcome to Esther and Elsa. We're glad you're here and excited to help you build your next retail project. Sit down one-on-one with our team to plan a retail program that works specifically for your organization. Using experience and industry resources, we'll put together a custom proposal that finds effective ways of incorporating retail in unique ways. You have the plan, now let us put it into action. Unique retail takes a progressive point of view to get things moving. Let us begin to implement the program and integrate it further into your organization. We've been planning non-traditional retail events throughout our community since we were a small mom and pop shop. With your idea and space, we can take both and create an attention-grabbing event that'll grow your business and add to the surrounding community. No matter how small or large, we can achieve short-term pop-up shops, large open air markets, and small business-supporting events. Let’s talk about growing your business!